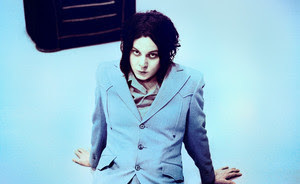 Jack White played his first solo UK show last night (April 23), headlining the HMV Forum the day his debut solo album 'Blunderbuss' was released. The former White Stripes man was watched by stars including The Mighty Boosh duo Noel Fielding and Julian Barratt, plus Alabama Shakes, who are set to support him on his May UK tour dates, and BBC Radio One's Fearne Cotton. 'Blunderbuss' hit the shelves yesterday and the set was heavy with songs from the record. However, he and his all-female backing band also found space for The White Stripes 'My Doorbell', 'Hotel Yorba', 'We're Going To Be Friends' and 'Seven Nation Army'. Tracks by his other bands The Raconteurs and The Dead Weather also got a look in, with 'Top Yourself' and 'Carolina Drama' by the former and 'Blue Blood Blues' and 'I Cut Like A Buffalo' by the latter making the setlist. He also played 'Two Against One', from his 'Rome' collaboration album with Danger Mouse and Daniel Luppi, plus folk standard 'Goodnight, Irene' to close the show. Crowd member Greg Inglis told NME the show was everything he'd expected. "The solo stuff sounded fresh and the Stripes stuff sounded different enough to feel relevant but still classic-sounding," he enthused. Sam Ritzemer, another crowd member, was similarly impressed. "I never saw The White Stripes but I love his new stuff, even more after this show," he said. "He could be just as big under his own name with more shows like this, if he keeps it up." 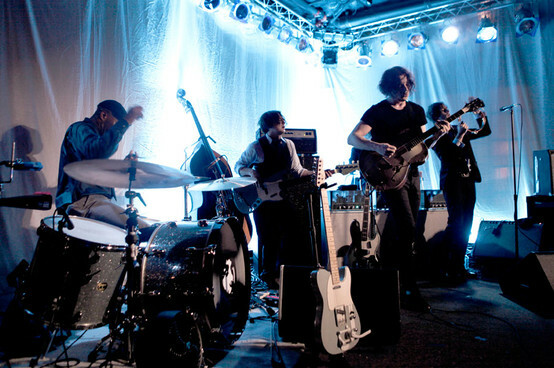 White is set to return in June for more UK gigs, including a set at Radio 1's Hackney Weekend event in London on June 23.